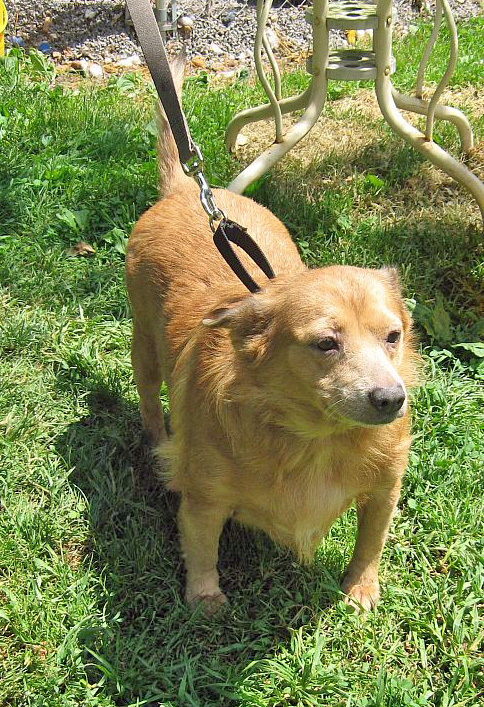 PeeWee has some skin allergies and will need extra special care. Her allergies are mainly treated with frequent bathing. She is loving towards people, good with other dogs, walks on a leash, and is housebroken. PeeWee is sponsored by Heidi Walnock.